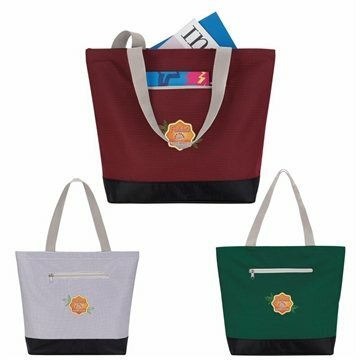 Custom Atlas Non Woven Grocery Tote Bag - 12" X 13"
This simplistic tote is easy to carry around and features a stylish material! Subtle pattern found on main body material. Material: 600D Polyester, Ripstop Polyester.